Montessori Monday - What Is Montessori Inspired? Montessori Monday – What Is Montessori Inspired? 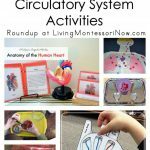 I’ve been asked what sorts of activities qualify as “Montessori inspired.” That’s a great question … especially since the Montessori Monday link-up is for Montessori-inspired activities and ideas. It isn’t the simplest question to answer, though. There are a number of different ways to approach Montessori education, and Montessori-inspired activities and ideas mean different things to different people. Montessori Monday activities can be for any level … infant through high school. 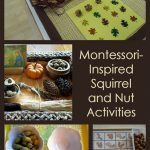 I’m a progressive Montessorian, so I’ll give some examples of Montessori-inspired activities and ideas from the viewpoint of a progressive Montessorian. Traditional Montessori materials and presentations for activities in the areas of practical life, sensorial, language, math, and cultural are naturally Montessori inspired. If you have posts explaining Montessori principles or discussing a Montessori controversy, we’d love to read them. Your posts will help parents new to Montessori education and often stimulate thought to make us better parents and/or teachers. Tutorials for DIY Montessori materials are especially helpful for the many homeschoolers who follow Montessori Monday. I love to see new, creative variations of Montessori materials as well as more traditional DIY Montessori materials. It’s always interesting to read in your blog posts about what worked well … or didn’t work well. Activity trays (or baskets) with hands-on activities are a great choice. You can be creative with your activities. There are practical life activities for care of self, care of the environment, control of movement (fine-motor and gross-motor skills), and grace and courtesy. 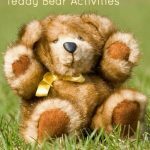 Activities in any of these areas are great for Montessori Monday. Sensorial activities are very important in Montessori education, although not all sensory activities are Montessori activities. I still think they qualify as Montessori-inspired activities, though, because of their emphasis on sensory experiences. If you have sensory bins or sensory activities of almost any kind, please link them up. Montessori education uses phonics to teach reading, so reading activities that are phonics based are especially good. (See “DIY Beginning Montessori Phonics for Preschoolers.”) But most hands-on language activities will work well. Most hands-on math activities work well for Montessori Monday. Most hands-on cultural activities in areas such as geography, history, general science, botany and zoology, music, and art are great for Montessori Monday. If you have posts telling about how you’re using Montessori activities and ideas in your homeschool or co-op, please link them up. Montessori printables such as 3-part cards are traditional Montessori materials. But I’m happy to see printables linked up as well that can be used to create hands-on activities. Here are a few things that are best to avoid linking up on Montessori Monday because they don’t go with Montessori philosophy and would be confusing for parents and teachers looking for Montessori-inspired activities. Montessori-education emphasizes hands-on education, so worksheets wouldn’t be the best to link up. The printables that work best are ones that can be used to create hands-on activities. Montessori education emphasizes reality and concrete learning experiences in the early years. While many Montessorians (myself included) aren’t against pretend play, pretend play isn’t Montessori-inspired and wouldn’t be the best to link up. For Montessori Monday, I don’t care if literature-based activities aren’t always focused on reality, though. If you have something like Dr. Seuss activity trays or activity trays with a fantasy theme, feel free to link them up. For the most part, don’t link up something that isn’t mainly based on reality unless it’s an activity tray. Montessori education doesn’t use rewards or punishments, so posts about using them would be confusing for Montessori Monday. Gentle discipline posts work well along with posts about using encouragement rather than praise. Link up your exact post URL so that we can find your activity if we return to the linky at a later date (which I often do when I’m looking for activities for a roundup post). I publish the Montessori Monday post and linky each Monday morning and keep the linky open throughout the week. I’m not able to comment on every post, but I do a lot of sharing on the Living Montessori Now Facebook page from the Montessori Monday link-up. Thanks for participating! Have you added the Montessori Monday button or a text link? Please be sure you’ve done one or the other so that others can find the link-up, too! May be linked to Afterschool Express, Thoughtful Spot, Tuesday Tots, The Mommy Club Resources and Solutions at Milk and Cuddles and Crystal & Co., Mom’s Library, It’s Playtime, The Weekly Kid’s Co-op, Homeschool Link-up, Hearts for Home Blog Hop, Learn & Link, TGIF Linky Party, Preschool Corner, Ultimate Homeschool Pinterest Party, Sharing Saturday, Saturday Show & Tell, Share It Saturday, Show-and-Share Saturday, The Sunday Showcase, Link & Learn. Filed Under: Montessori Monday, Montessori Principles Tagged With: Montessori, Montessori Monday, Montessori-inspired, Montessori-Inspired activities, What Is Montessori Inspired? I love that you wrote up what you can and can’t post. I post my printables because I know so many are hands on, but now I wonder if I should not. Thank you so much for the explanations. 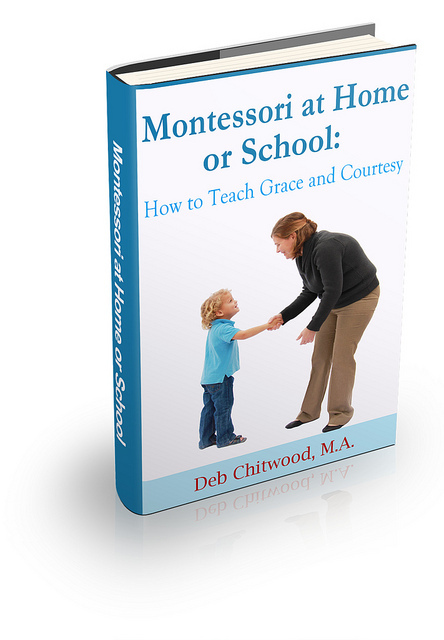 While I am not montessori trained, many of the principles stick with me. I am trained in project approach and follow a student led principle in my teaching. As a new homeschooler, I am learning to follow these principles in the home. You are an inspiration. Thank you for clarifying a bit! Have a great week! Thanks for this awesome post! I’m not Montessori trained. 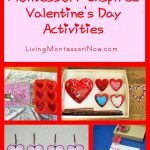 What I know about the Montessori method is from my own reading, mostly from blogs like yours, so when I was putting together a post about Montessori-inspired Valentine’s activities, I spent a fair amount of time wondering if the activities truly constituted as “Montessori-inspired.” After reading this post, I’m confident I was on the right track, and am super excited to share my post in a few weeks. Thanks so much! Thanks for this post, Deb. It was nice to read your clarification about what constitutes a Montessori Activity and what doesn’t. I always hesitate when linking up, because I tend to feel if the activity or craft isn’t presented in a tray form that it might not qualify, so it was reassuring to read through your descriptions and suggestions. Thank you! How do I subscribe to your post Montessori Monday? Can you put me on a mailing list please.
. I am trained in project approach and follow a student led principle in my teaching. As a new homeschooler, I am learning to follow these principles in the home. You are an inspiration.